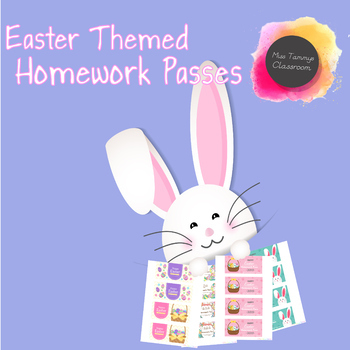 These Easter themed homework passes are perfect for giving your students as a gift or using for prizes. I have lots of other themed, fun, and educational items in my store! Attribution: Some images may have been provided by freepik, super coloring, and/or allfreedownload.